English 3844 introduces the fundamental practices and emerging theories of writing with, and for, digital media, including basic computational authoring in HTML and CSS syntaxes, critical interpretation of online sources, social media management, and topics of computational abstraction for writers. produce and use digital images, video, and audio. develop a critical understanding of online content. navigate, set up, and optimize social media channels for developing and distributing digital content. recognize and use basic computational syntaxes of HTML and CSS. Kristin L. Arola, Cheryl E. Ball, & Jennifer Sheppard. 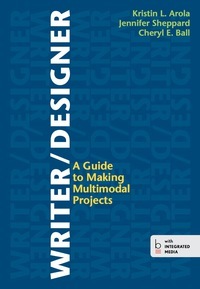 Writer/Designer: A Guide to Making Multimodal Projects. Boston: Bedford/St. Martin’s, 2014. General software for text, audio, video, and image editing. Most of the software you need is available in InnovationSpace or is free online. You will complete five projects (70% of your overall course grade), along with related drafts and other artifacts. You must complete all five projects to pass the course. You will keep a journal of digital designs and give a short, related presentation (15% of your overall course grade). You will submit your journal using the Discussion tool in Canvas, creating a minimum of one entry each week. Finally, you will participate (15% of your overall course grade) in discussions, peer review, and other informal activities. You will log your participation and write a self-evaluation at the end of the term for your final exam. All these activities are explained in more detail on the Assignments page of the course website. Equal Access and Opportunity: If you need special accommodations in this course, please contact Services for Students with Disabilities (SSD) in 310 Lavery Hall (above the Turner Place Dining Center) during the first week of the term to ensure that you have the resources you need. The procedures and forms you need are also available on the SSD website. I am happy to work with the SSD staff to make sure that you have the support you need. Documentation from the SSD office should be sent to me by the end of the first week of class. Attendance: I take attendance using the tool in Canvas at the beginning of class. The roll is projected on the screen so that you can double-check that I mark you present. Absences will affect your participation grade. See the Absences page for more details on the policy. Communication Guidelines: Email is the best way to contact me. You can email me at tengrrl@vt.edu. I do not respond to students at any other address. I try to answer student email within 24 hours on weekdays and within 48 hours on weekends and holidays. See Communication Guidelines for more details. In-class work: Every week, you will complete writing activities that you will submit online. This work is due by the end of your class period. If you cannot complete the work in class, you have until 6 PM the next day to submit it; however, you may lose the benefit of getting feedback from your peers. The due date is the day that your major project is due. Every student has a one-week grace period after the due date during which the project can still be submitted. The grace period occurs between the due date and the deadline. Work submitted during the grace period will be marked as late in Canvas; however, there is no grade penalty for work submitted during the grace period. You do not need to ask in advance or explain why your work is late. Note that we will not work on projects in class after the due date nor will I be available to provide in-depth feedback on your work after the due date. The deadline comes one week after the due date and is the final day that you can submit a project. There are no extensions on deadlines. You must submit your work by the deadline to receive credit for your project. In Canvas, this is the date that the assignment will close. Peer Review Drafts and Feedback, Project Presentations, and Final Exam: Peer review drafts and feedback, in-class presentations, and the final exam are due on the days announced on the course blog. There are no make-ups on these activities. There is also no grace period. If you miss them, you earn a zero. Religious Holidays: Please take advantage of the grace period explained in the Late Policy section above if the due date for any work in this class coincides with a religious holiday that you celebrate. Please let me know before the event if the grace period will not be adequate. Missed Work: If you miss a deadline completely because of an illness, death in the family, or family emergency, see the Student Advocacy page from the Dean of Students Office for details on how to document the situation. You must provide documentation within one week of any situation. Class Logistics: Please hold your questions until I have the computer logged in and set up for the session. I begin each class sessions with attendance. Once everyone is accounted for, I go over any announcements and the plans for the day. I can answer any general questions during this time as well. I try to talk for less than 15 minutes (I hate lectures). After talking about the day’s plan, I will ask you to work in class, either in groups, in pairs, or independently. The specifics will vary. 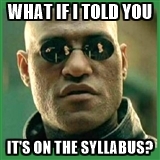 Be prepared to work every class session by having your files and relevant resources with you or available online. You will respond to a simple in-class writing (using the Quizzes or Discussions tool in Canvas) at the end of most sessions. Office Hours: If you want to talk with me privately about your work in the course, please make an appointment 24 hours in advance, using the Office Hour Sign-Up page. I am available by appointment on most MWF afternoons. Departmental meetings will cause some office hours to be canceled. The Sign-Up page shows only the slots that are available. Backups: Save backups of all your work for this class. 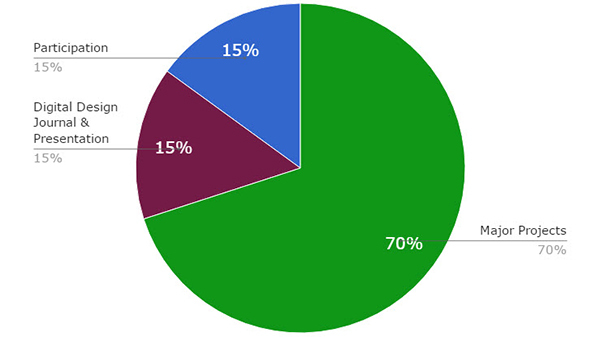 Maintain these backups in multiple places (your laptop, a flash drive, Google Docs, Dropbox). Printed backups can also be useful. Do not discard any files, notes, or other work until the term is over and you have received your final grade. Be sure that you maintain backups so that you can continue your work when you encounter computer problems. If you need assistance with your computer, check with InnovationSpace or Customer Support Center (4Help). When Pass/Fail grades are used, a Pass grade is equivalent to an 85. Fail grades are entered as a zero, with no credit for the work.